Runtime 2 hr. 5 min. 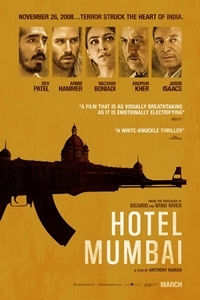 SynopsisA gripping true story of humanity and heroism, HOTEL MUMBAI vividly recounts the 2008 siege of the famed Taj Hotel by a group of terrorists in Mumbai, India.